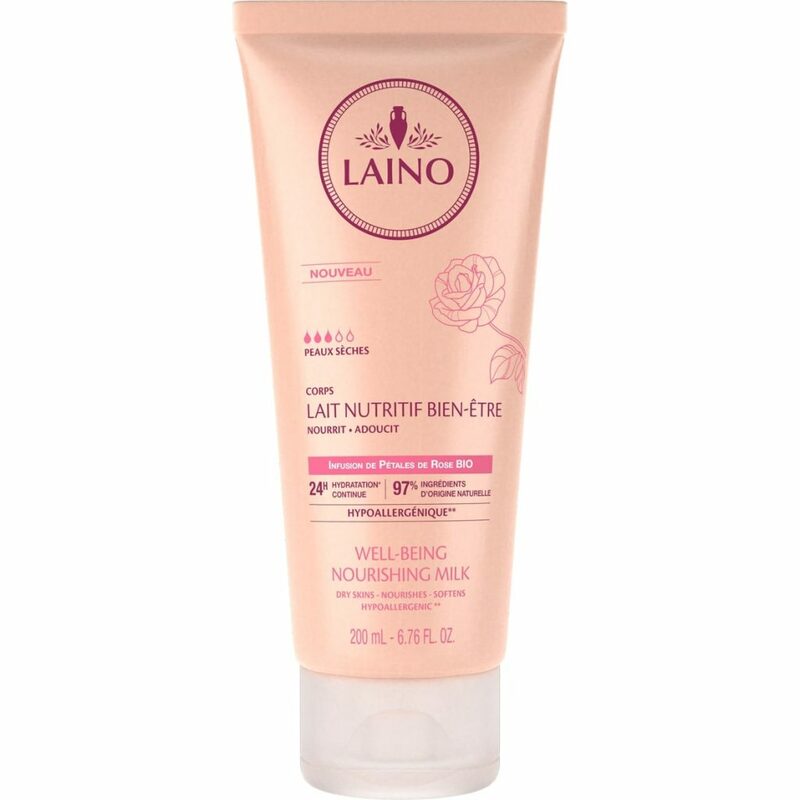 LAINO has selected the best of Mediterranean basin to formulate its Well-Being Nourishing Milk for dry skins. 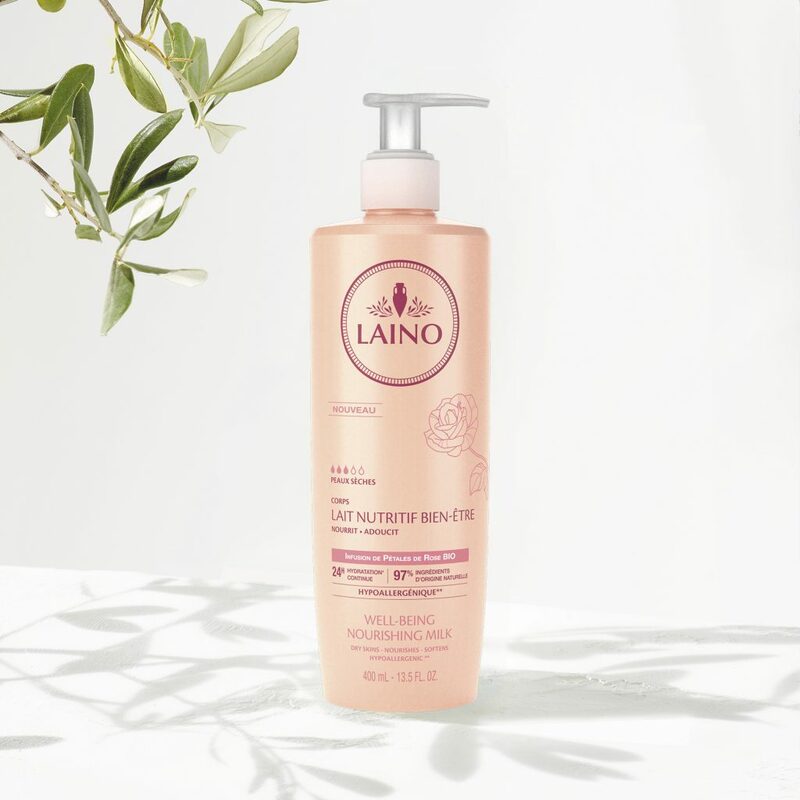 Thanks to the combination of glycerine and ORGANIC rose petal infusion, this hypoallergenic** care nourishes pulling skin and provides 24-hour of continuous moisture*, bringing immediate relief. 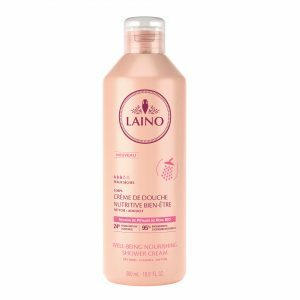 The skin is left glowing, soft and protected, with a light fragrance. * Instrumental test carried out on 10 volunteers for 24h. 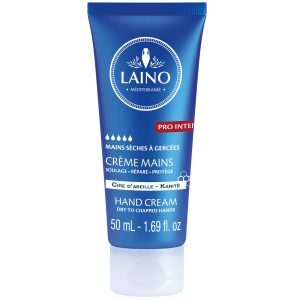 Moisturising of the upper layers of the epidermis. ** Formulated to minimize the risk of allergies. Apply to the body morning and evening. (1) Percentage of satisfaction. Usage test conducted on 22 volunteers, once a day for 21 days under dermatological conditions.